The tan delta test attachment enables a precise determination of the condition of the cable. Integral aging effects, such as the degree of humidity and “water treeing” can be simply recognized and quantified, making the tan delta test attachment the ideal instrument for monitoring the condition of the cable. 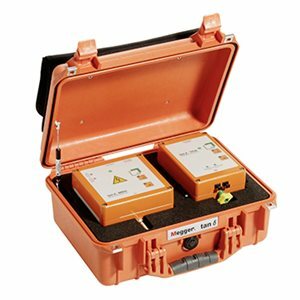 The tan delta test attachment can be used as a stand-alone system with the portable VLF sine systems or in combination with the integrated VLF sine test systems in vehicles. The system achieves very accurate measurements because it measures at the high voltage potential and the measuring head can be placed very close to the test object.